Need a new and challenging routine for leg day? This workout is only 15 minutes long, but don’t be fooled — it’s seriously challenging and will sculpt your legs in no time. Go through the entire circuit once if you’re a beginner, twice if you’re intermediate, and three times if you’ve got eh stamina. In just 15 minutes, you’ll feel the burn. Try this quadriceps-targeting move with dumbbells. Think of it as a basic squat with a side-step on the way up. This isn’t a lunge, so don’t attempt a side lunge. 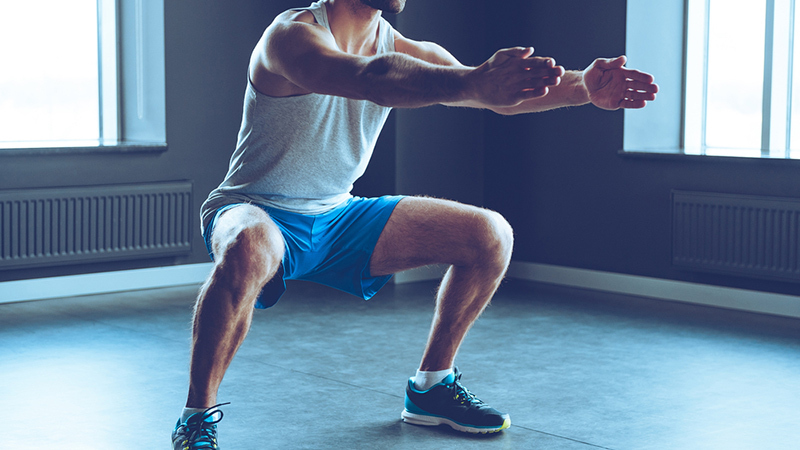 Simply squat down with a weight in both hands, making sure your knees don’t extend past your toes and your back remains straight. Take a steps to the right and squat. Then a steps to the left and squat. It’s a basic cardio move but it’s also effective. You know the drill. Stand with your arms raised above your head and jack your feet and arms out. Bring them back in and together jack them back out. Repeat 30 times. Hold onto a countertop or barre as you keep your arms and legs straight. 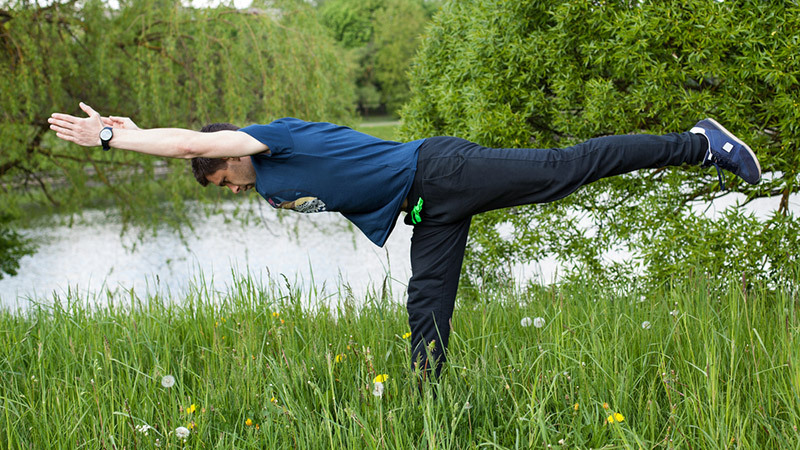 For an added challenge, try doing this without holding on to anything, but flexing your core to maintain balance. Hinging from your waist, bend until your back is flat. Lift your left leg in a straight line behind you, pointing your toes. Lift and lower your leg a few inches (do not bring it all the way back to the floor) 30 times before switching sides. Here’s another straightforward, but effective, move. Hold a weight in each hand and lunge forward with one leg, keeping the thigh that’s raised parallel to the ground. The leg that’s behind should nearly touch the ground, depending on your range of motion. Perform 12 repetitions before switching legs. This is no one’s favourite exercise, but it certainly gets the job done. Bring your hands to the ground, then jump your feet out behind you until you’re in a push-up position. Do a push-up if you’re feeling adventurous and skip it otherwise. Jump your feet back in toward your hands and raise yourself back to a standing position, jumping straight into the air at the end of the move. Start with 10 and work up to 30 as you get fitter. 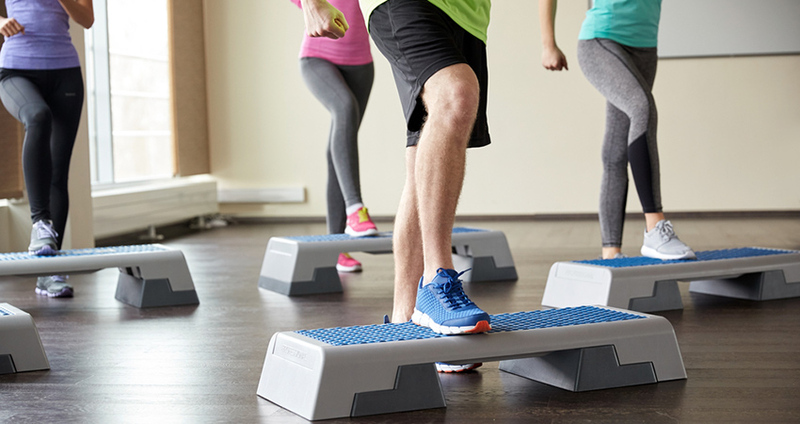 Use a sturdy chair, bench, or bottom step – make sure whatever you use won’t slide out underneath you as you perform the move. Start with your left foot on the center of the step. Raise your right leg above the step, bending your knee. Bring your right foot back to the ground. Repeat on the other leg. Do 20 step ups. From your squat position, roll onto your back and use your momentum to roll back up and jump. If you need to make this move easier, use your hands to push yourself.